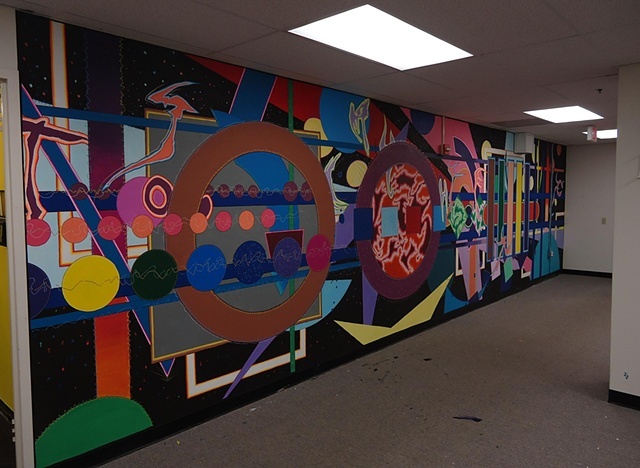 Another view of my mural for Artomatic 2012. It's the largest and most time-consuming artwork I've ever created. I have a price above partially as a lark, but also because it represents precisely how much such a mural would cost if I was doing it commercially or under the auspices of a grant. Based on what I've seen in the outside world, I think $35.00 a square foot is a reasonable price, so a piece of this size would definitely cost in the neighborhood of $8400.